Focusing on the Patuxent Research Refuge Plant Inventory Project and urban botanical foraying. 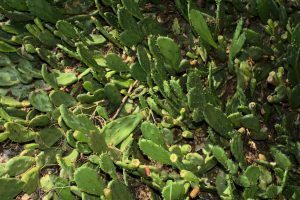 After learning about some cacti located south of Merkle Wildlife Sanctuary, David Anderson, Matthew Beziat, and I went on a foray to see if we could locate them. We found the cactus on a south facing slope beside Nottingham Road adjacent to a farm. 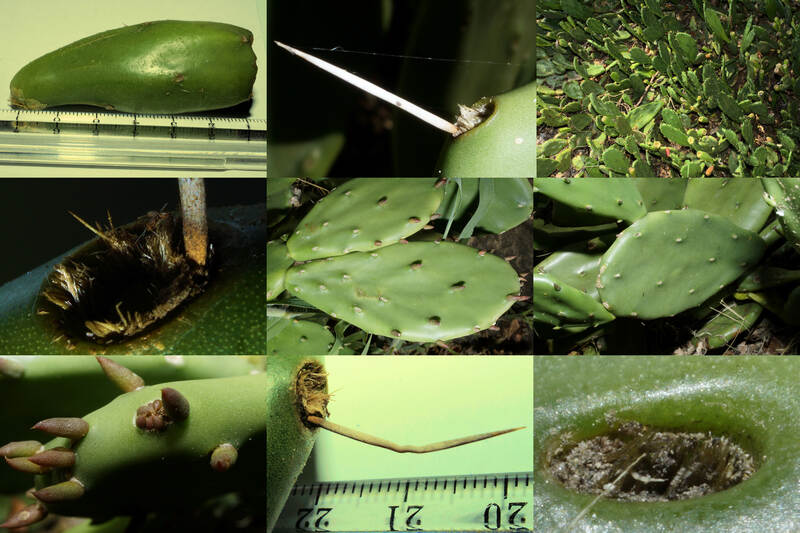 The presence of spines and three or four areoles per diagonal row at the middle of the cladodes suggests that they are Opuntia mesacantha ssp. mesacantha. The clump was about 20 feet by 20 feet and seemed out of place. The plants looked like someone was weeding them and probably planted. A special thanks for Esther Woodworth for letting us know about the plants and for Joe Metzger for providing the directions. A trip in the spring when they are in bloom is planned. 25 April 2017 – Forget-me-not or not – Part 2 – SUCCESS!